The Winter Paralympics are taking place in Pyeongchang, South Korea, from March 9 to 18. The event will feature 670 athletes competing for 80 medals across six sports. Here's the day-by-day guide to what to look out for at Pyeongchang 2018 - and the likely highlights for Great Britain and other leading nations. Originally scheduled for Thursday, the women's slalom events now find themselves on the final day of competition. Great Britain will still be hopeful of success as Menna Fitzpatrick and Jen Kehoe, plus Millie Knight and Brett Wild, challenge Slovakia's Henrieta Farkasova and Natalia Subrtova for the final time. 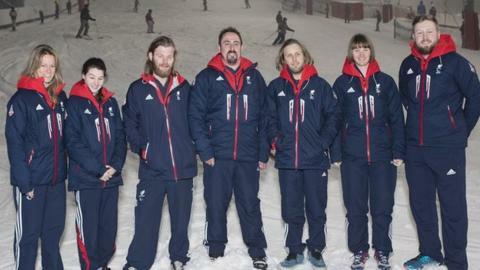 The Slovakian pair have looked imperious but the GB duos, plus Kelly Gallagher and Gary Smith, will aim to challenge. The women's seated category could be an all-German battle with defending champion Anna Schaffelhuber up against team-mate Anna-Lene Forster. However, Austria's Claudia Losch finished the season as the overall World Cup winner and could spoil the German party. Favourite for the standing event will be France's Marie Bochet who already has three gold medals to her name. After the individual cross-country skiing events finished on Saturday, there are two final chances of medals in the two relays. A 4x2.5km mixed relay is followed by a 4x2.5km open event. Teams can be made up of two, three or four athletes. Russia won gold in both events four years ago but with no male Nordic skiers on the Neutral Paralympic Athlete (NPA) delegation, there could be new champions in both events. The last of the 80 medals will be awarded in the Para-ice hockey event, in which the USA, gold medallists at the last two Games, face world champions Canada.